Listed for $1,875,000 last month, the 1,040-square-foot penthouse unit #7C atop “Amero” at 1501 Filbert Street, a former gas station site, is now in contract. But the list price has just been changed to “$1,675,000,” which means that a sale at the reduced price would now be considered “at asking” according to the industry stats and reports. At the same time, the list price for the 1,613-square-foot penthouse unit #7G, which also includes a private 716-square-foot rooftop terrace, has just been reduced from $3,625,000 to $3,499,000. That’s definitely not cheap, but it is $126,000 (3 percent) cheaper than before. no doubt the sales here are being watched very closely by the folks at 2601, who may be just weeks away from a start. Wow, $3.5M for a 1,613 sq. ft. place and you still have neighbors below you. I just got in the mail a postcard listing for 275 Maywood Drive. Detached single family home (and then some) 3 bedrooms/3.5 baths, sunken formal living room w/ open beam ceiling, banquet-sized formal dining room, gourmet kitchen w/ La Cornue gas stove, sitting room/home office, library, family room w/ wet bar, landscaped backyard with sweeping views of Lake Merced, The Olympic Club and the Pacific Ocean. Asking $2,295,000. Listing agent: Andrew Herrera II. *I have no affiliation with the listing agent. I’ve seen both of these units – I found there’s a little too much wasted space with hallways and the bedrooms are on the small side. 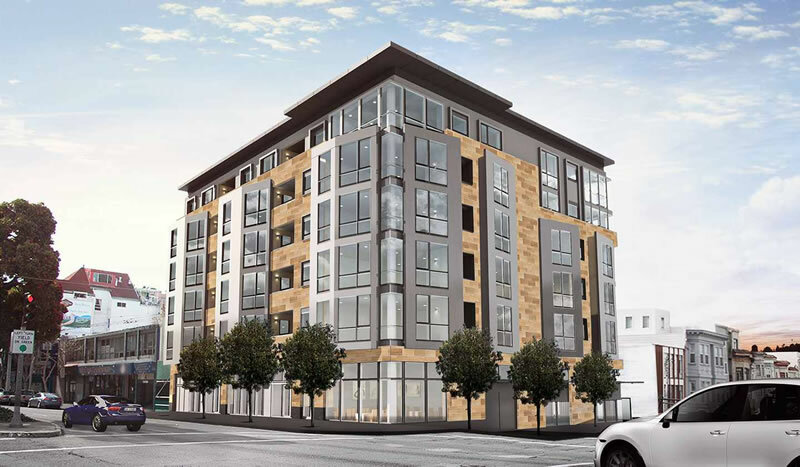 Finishes are nice, but 7C looks out over Van Ness and the lot across the street will probably be developed at some point. Pricing cut from insane to astronomical. I would never have guessed these would be trading at these $/sqft when the project was first announced. I can’t wait to see where the old Dugoni dentistry school ends up trading at, I’ve heard rumbling (wishing?) that it could be 3k/sqft but who knows. Trumark absolutely crushed it in this cycle. They also got lucky given they avoided getting a Discretionary Review request as far as I can tell. Permits were originally filed in June 2011 so that is a very fast time to completion for a project as big as this. 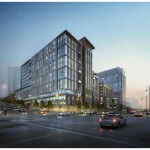 The 2601 Van Ness project across the street has been in the works since 2003 and faced a ton of local opposition. Anyone have any details on this? 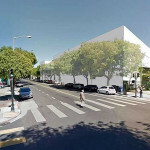 I lived on the PacHts side of this neighborhood, just a few blocks away, and this part of Van Ness has never been especially desirable, with the cars whizzing by 24 hours a day. While Polk Street is nearby, with neighborhood shops, Union and Lombard in this end are not. At this price per square foot, comparable parts of Paris are cheaper. UPDATE: The sale of the Penthouse #7G has closed escrow with a reported contract price of $3,475,000 ($150,000 under original list).